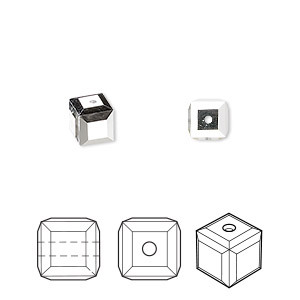 Bead, Swarovski® crystals, crystal CAL, 6mm faceted cube (5601). Sold per pkg of 6. 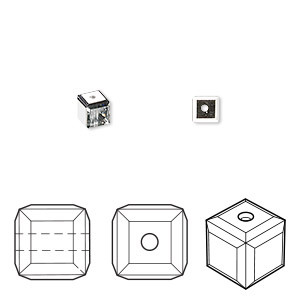 Item Number: H20-3981CY Have a question about this item? 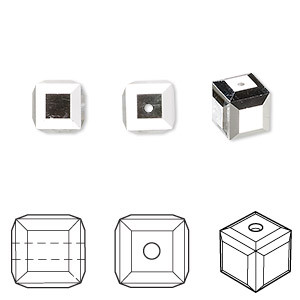 "CAL" is Swarovski's abbreviation for "comet argent light" which is a vacuum metal coating applied to the surface of the stone producing a bright, mirror-like effect. 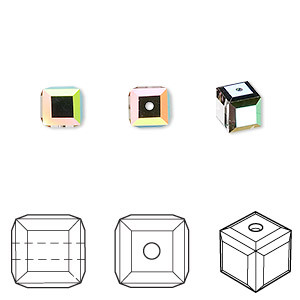 Swarovski® crystal components are regarded as the highest quality machine-cut and polished crystal in the world. 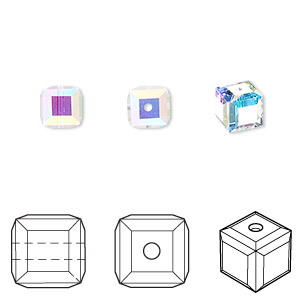 Bead, Swarovski® crystals, crystal CAL, 6mm faceted cube (5601). Sold per pkg of 48. 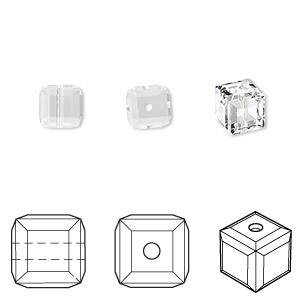 Bead, Swarovski® crystals, crystal CAL, 6mm faceted cube (5601). Sold per pkg of 144 (1 gross).